Only seeing the interior walls allows a limited view of a home that on the outside looks great, but on the inside may conceal issues where costly problems can exist. A building and pest inspection by a qualified professional like BPI Ipswich will reveal these hidden elements. 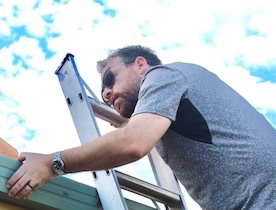 A licensed building inspector such as Jacob Mckechnie has extensive knowledge of the building industry that is invaluable to potential home owners. With our professional advice and detailed knowledge of the building structure, a BPI Ipswich Building and Inspection report will give you the confidence you need to make an informed purchasing decision. Questions? Feel free to contact us here or call 0420 558 955.